Like most children when I was little I hated shopping, shops were dull, and boring but for me there was one exception, Fenwick of Newcastle. Founded in 1882 Fenwick of Newcastle is the flagship store in the independent and still family owned, Fenwick department store chain. From it fabulous 3rd floor toy department, to it's magical Christmas window, and it's stationary department that seemed to be full of stickers and scented erasers, a trip to Fenwick or Fenwicks as it's known to locals, was one shopping trip that I always looked forward to. Times have changed but the store is still hear and it's bigger and better than ever before and although I no longer head to the third floor haven of my childhood, you re still likely to find me drooling over designer handbags and clothing in the famous French Salon, trying to resist the goodies in the Food Hall and sniffing and swatching my way through the Beauty Hall. 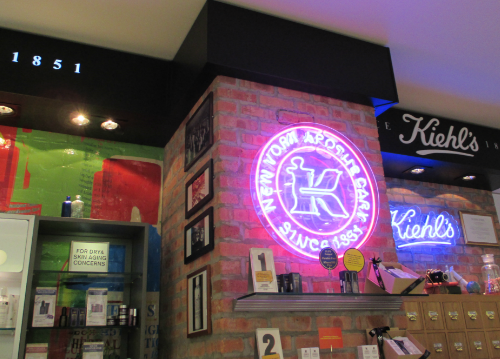 With one of the largest selections of cosmetics brands and fragrances in the North East, Fenwick Beauty Hall is the place to go if you're a beauty junkie like me. 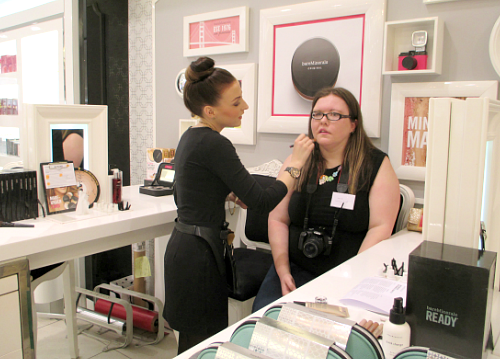 Today marks the start of the first ever Fenwick Beauty Week, and last week along with several other North East bloggers I was invited along to a VIP blogger preview event. The introduction to the event took place in one of the stores many restaurants, the Tivoli. This table service eatery has fabulous views of Greys Monument and the city centre but it had been transformed for our visit with a bar serving Prosecco with passion fruit Pop a Balls and bottles of Fentimans Rose Lemonade, and tables featuring cake stands with tiny strawberry tarts, peach Melba's and macarons. 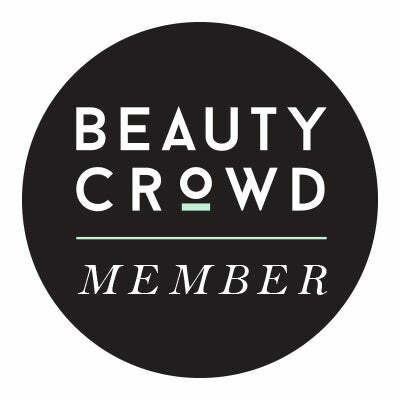 After a drink and some sweet sustinance we were welcomed to the event by head beauty buyer Lucy Watson and given a small talk about beauty week and about the evening ahead. Basically as bloggers we had a free run of the beauty hall, and were given the opportunity to have several complimentary consultations and treatments at some of the stores top beauty houses. 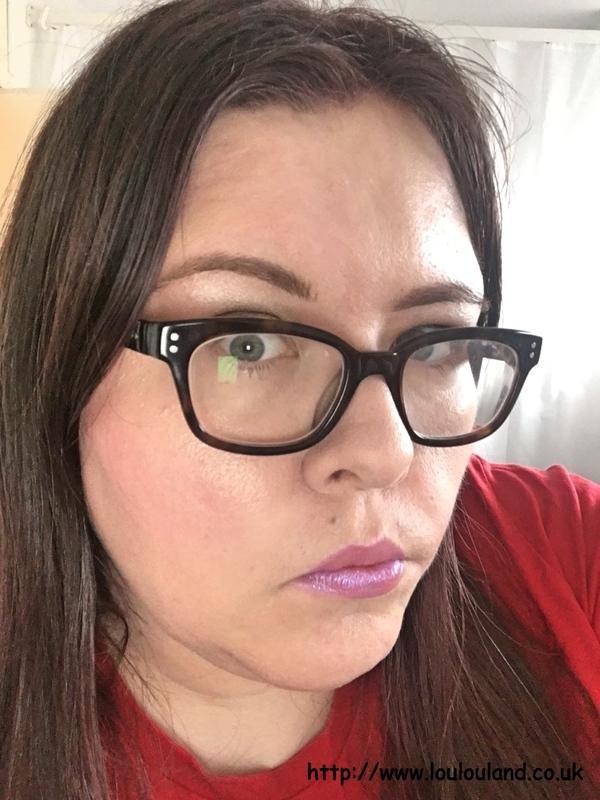 There were so many to chose from, Tom Ford, to Giorgio Armani, and Laura Mercier,the list went on and on, the temptation to just get my make done over and over and over again was strong but I decided to try a few different types of treatments. The first counter I headed to was Clarins, and no it wasn't for a facial or a make over it was for one of their famous red chair massages. You've probably seen these almost instruments of torture on a number of Clarins counters but I bet you've never given it a try. Well basically what it is, is the perfect means of giving you a really intense, neck shoulder and back massage. Since I suffer from Fibromyalgia and ME /CFS, I get a lot of muscle pain and stiffness and my neck and shoulders are probably my worst areas. You look a bit silly but I would thoroughly recommend it, my lovely therapist Alison, give me one of the best massages I've had in a long time, and I could really feel my muscles popping. Alas I couldn't take a picture of myself so I took some pictures of the lovely Becca to give you some idea of the experience. As well as the massage chair, Fenwick also has it's very own Clarins Skin Spa, Alison very kindly let me have a little look round and it was so nice and relaxing and perfect for a real spoil yourself facial, or body treatment. There is a buy one get one free option running until the end of May so if you want to treat yourself if might be worth a look. Next up was Bare Minerals, I've been a huge lover of the brand for quite a while now and whilst I love their powder and ready range, I was yet to try any of their liquids and creams. 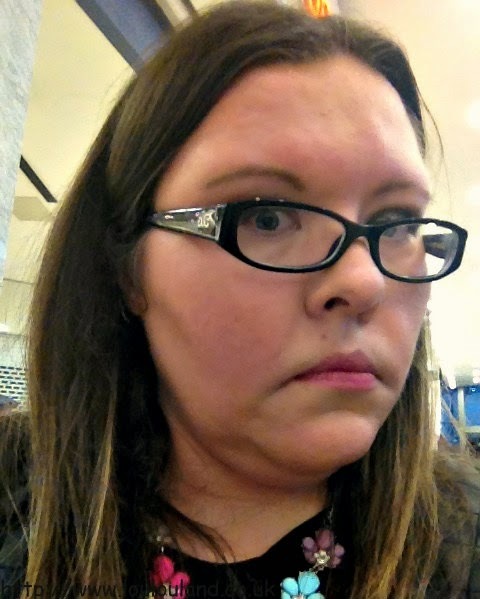 So I headed to the counter where their lovely make up artist told me a little bit more about their new Complexion Rescue Tinted Hydrating Gel Cream SPF 30. She then colour matched me to Vanilla 02 and applied some of the product before giving me a sample to try. It's early days with this for me and I'll definitely do a full review but the colour is spot on and I love how weightless it feels on the skin. I don't get the opportunity to pamper myself very often but when I do I want it to be special so my next treatment was at Jo Malone. A newer edition to the hall, Jo Malone is almost a store within a store, beautifully and luxuriously decorated, the store showcases all of the brands body products, fragrances and home products in a chic and aspirational way. The treatment that I'd signed up for was a luxurious hand and arm massage. Greeted with a glass of champagne, myself and the lovely Rosy, were invited to sample their new limited edition colognes, Sakura Cherry Blossom, Osmanthus Blossom and my favourite Plum Blossom before being massaged with Jo Malone's beautiful English Pear And Fressia Body Creme. This indulgent treatment ended with several spritzes of the beautiful Plum Blossom Cologne, and I was left feel thoroughly pampered with soft and beautifully scented skin. It was a little while before my next appointment so I had a little wander around the beauty hall, chatting with my fellow bloggers, and seeing what was on offer. There is every counter that you would expect and more besides, and as well as the main counters there is also an apothecary section, which features a lot of more general, and some niche beauty and toiletry brands, and candles, including products from Neom Organics, DHC and even Top Shop Make Up. 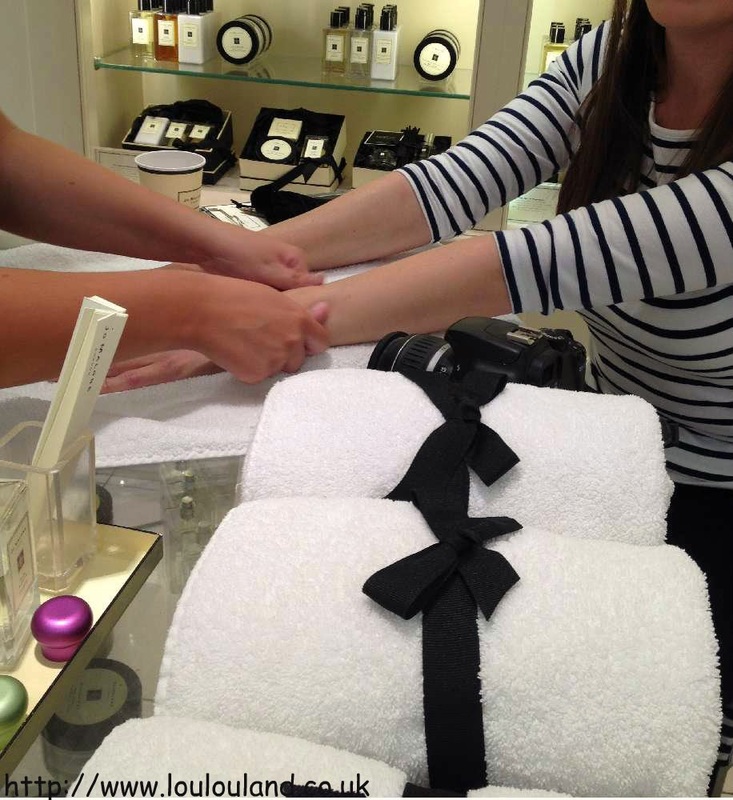 We were also given the opportunity to have a look around the Fenwicks beauty rooms, which are the perfect place for a facial or a massage, and are beautifully scented with Neom Organics candles and reed diffusers. My final consultation of the night was with one of my favourite brands of all time, Benefit. The treatment offered was a contour and brow lesson but to be honest I ended up having a full makeover. First of all my make up was removed and I was given a full skincare treatment before being matched for Hello Flawless Foundation in Believe In Me, and having my base perfected with Stay Don't Stray in Light / Medium and Hello Flawless Powder. Then it was time for the contour, my make artist gave me the option of a strong Kim Kardashian type contour or a more subtle contour - I went for the subtle contour and then had my face sculpted with Hoola, Watts Up and Dandelion. I was surprised at how easy she made it look and since I own all of the products she used I'm definitely going to give it a go myself. I really enjoyed the make over and how easy and quick she made it look, and I definitely learnt a few tricks of the trade. I've now got a few more products added to my wish list and I would definitely recommend trying out the Benefit skincare range even if it's just for the fragrance. As a thank you for attending the event we were each given a goodie bag crammed full of samples from some of beauty houses including Benefit, Bare Minerals, Clarins, Molton Brown and more. It was honestly like Christmas when I started going through the bag and I'll definitely be reviewing some of the samples in due course. I had an absolutely fabulous time and as someone who was previously quite intimated by beauty counters I definitely feel a bit more confident about approaching counters and brands and asking for advice, and hints and tips. If you're in Newcastle over the next week I would definitely try and head down to Fenwick Beauty Week if you can. From today until Saturday 16th May, there are live demonstrations, gifts with purchase and the opportunity to sample some new fragrances from the likes of Marc Jacobs, Thierry Mugler, Hermes, Moschino and Roberto Cavalli. 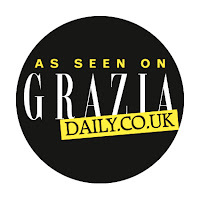 There will also be several opportunities to attend exclusive masterclasses and consultations with some top regional, national and international experts at various beauty houses, and some visiting make up artists who include. Unfortunately I don't think I'm going to be able to get back this week but I would thoroughly recommend making the trip if you can. Oh and if you do go, go to any of the counters and houses that I visited and just mention my blog LouLouLand to receive a free, deluxe product sample. 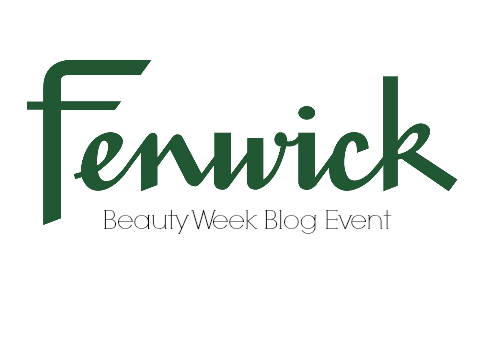 You can find out more about Fenwick by visiting their website here.